I was totally devestated to hear of the horrific tragedy that took the life of Mike and Laura Cote. Mike and Laura were one of the most beautiful couples I have ever known. They were not only parishioners of St. Francis but great friends of mine. Mike and Laura would be there when anyone needed them, from helping in the kitchen preparing for parish events, to weekly participating in the Divine Mercy Cenacle at the parish. Mike and Laura had a great love of the Divine Mercy message that Our Lord gave to St. Faustina Kawalska to share with the whole world. They both encouraged devotion to the Divine Mercy and spead this devotion with great zeal and love. They were a spiritual son and daughter of St. Padre Pio and regularly attended the St. Padre Pio prayer group in the parish on a monthly basis. They both had a great love of Holy Mother Church and a love for their fellow parishioners at St. Francis. The love for them was very evident at a packed church last night at the Holy Hour praying for the repose of their souls and for their families who are struggling to deal with this great loss. In the Office for the Dead in the Liturgy of the Hours, there is an antiphon for the Office of Readings that says: My Soul is thirsting for the living God; when shall I see Him face to face? Mike and Laura had a great thirst for the living God. It was evident in the way they lived their lives. Now that thirst has been quenched. They now see HIM face to face. I will never forget these two beautiful souls. I will never forget their great smiles as in the picture above. It is my prayer that they were greeted by their spiritual father St. Padre Pio and escorted to the presence of the most beautiful woman who has ever lived, the Blessed Virgin Mary. The Holy Virgin sees Mike and Laura wearing HER GARMENT..The Scapular of Our Lady of Mt. Carmel, and with a smile takes them by the hand to her Divine Son Jesus. Jesus sees them and the smile on His mothers face, smiles and says: These are my dear friends. Friends and disciples of my Divine Mercy. Jesus say, welcome into the Kingdom prepared for you from the foundation of the world. Jesus then takes Mike and Laura by the hand and presents them to His Father, their Father and Our Father. Laura and Mike.....I will forever hold you in my heart. A Great article on Confession.....Enjoy. In Sacramental Theology there exists an all-important concept for the efficacious reception of any of the Sacraments. This is called Dispositive Grace or Grace of Disposition. What this concept means is simply this: the graces that you receive in your reception of the Sacraments are in direct proportion to the disposition of your soul at the moment of the reception of that specific Sacrament. In the Sacraments, Jesus touches us directly, in the most personal and powerful way that we could possibly imagine. The Church is the Mystical Body of Christ and Christ unites Himself with us through the Sacraments. One of the easiest analogies to understand the concept of Dispositive Grace could be the example of inviting a guest to dinner. There is a whole gamut of ways that the guest could be received, from totally poor to excellent. In inviting a guest, you might even forget that you invited him—pretty shabby! Or the guest might come and the door is open, but there has been no prior preparation. Still again, the guest might be received with a meal prepared, but all is done in a rush, in which the guest feels as if he were a burden. Then, there might be preparation for the guest with a welcoming committee, a good meal, and great desert. Finally, it might be such that the house was cleaned the day before, the favorite food of the guest has been prepared, the guest’s favorite music is playing in the background, and then at the end of the meal the family offers the guest a special gift that the guest really likes! Obviously, every scenario is different. This can be applied with respect to the concept of Dispositive Grace, most specifically to the reception of Jesus in the Eucharist. He could be received very poorly or with an excellent disposition. There are two Sacraments that we should receive frequently until we die and meet the Lord—Confession and the Holy Eucharist. In this article we would like to highlight specific ways that we can enhance the graces that we receive in the reception of the Sacrament of Confession, sometimes called Penance or Reconciliation. The suggestions will be very short, but we hope very useful to upgrade your reception of the infinite mercy of Jesus that comes through this Sacrament. 1. Trust. We must have s limitless trust in the infinite love and mercy that comes to us through Jesus in the Sacrament of His mercy, Confession. May this prayer issue forth from our hearts time and time again: Jesus I trust in you! 2. Read Luke 15. An excellent means to prepare us to receive the Sacrament of God’s mercy is to read and meditate upon Luke 15, sometimes called the Lost and Found Chapter. 3. Parables of Mercy. In Luke 15 we encounter the lost sheep and the sheep that is found, the lost and found coin, and the lost and found son—the Prodigal Son. Confession is being found and loved by our merciful Father. 4. Just do It. The modern phrase found on many young people’s T-shirts is Just do it! The devil will prevent you from going to confession. So, kick the devil in the behind and Just do it! 5. Priest-Christ. We must renew our faith that by going to confession to the priest we are really confessing to Jesus, the Eternal High Priest. 7. Confess ASAP. If you have had the misfortune of falling into mortal sin, in which you have lost sanctifying grace and friendship with Jesus, do not wait, but go to Confession as soon as possible! If your house were on fire, you would not wait. What about your soul in danger of eternal perdition, do not wait! 8. Prepare Well. As said earlier expressing the concept of Dispositive Grace, the better the preparation, the more abundant the graces. The fault is never in the Sacrament but in the poor disposition of the recipient of the Sacrament. 9. How? Get a good booklet explaining the Ten Commandments in detail and read through it; better said, pray through it. Jesus said to the rich young man that salvation comes through observing the Commandments. Indeed, they are Commandments and not Suggestions! 10. Write it Down. It could be very helpful to actually write down your sins on a piece of paper; this will prevent memory-loss in the moment you go to confession. However, after confession, trash the paper and the sins. 11. Grace of True Sorrow. Of paramount importance in making a good confession is begging the Holy Spirit for the grace of true sorrow for your sins. Imperfect sorrow is called Attrition, which is Fear of the Lord, which is the beginning of Wisdom. It is also one of the seven Gifts of the Holy Spirit. Imperfect sorrow is fear of going to hell. This is enough to receive forgiveness for our sins. 12. Perfect Sorrow. However, we want to arrive at perfect sorrow. This means that we are sorry for having sinned because our sins have hurt the One who loves us so much and the One we should love in return—Our Lord and Savior Jesus Christ. 13. Beg for the Grace. We should beg for the grace to attain both imperfect contrition, as well as perfect contrition. Saint Augustine put it concisely: We are all beggars before God. 14. Firm Purpose of Amendment. What necessarily flows from true and sincere contrition of sorrow for sin is a firm purpose of amendment. In concrete this means that we are ready and willing to avoid any person, place, or thing that can lead us into sin. 15. Don’t Play With Fire. In other words, we should not play with fire. We should not walk on a slippery moral slope. We should not walk on thin ice. Often we sin because we place ourselves in harm’s way. We must be firm in avoiding all near occasions of sin! 16. Use images. Of great utility could be as you prepare yourself for confession, as you examine your conscience and beg for true sorrow, to pray before images that raise your mind and heart to God. Three in specific: The cross, aware that our sins nailed Jesus to the cross; Divine Mercy, so that our trust will be infinite; finally, Our Lady, to whom we pray as such: Hail Holy Queen, Mother of mercy, our life, our sweetness, and our hope. 17. Pray for the Priest. On one occasion, Saint Faustina left the confessional without peace and she wondered why. Jesus revealed to her the reason: she forgot to pray for the priest before she entered the confessional. So pray for the priest (a Hail Mary or a prayer to the Guardian angels—theirs and yours) and the confession will flow more smoothly! 18. Qualities of a Good Confession. Jesus also revealed to Saint Faustina the three most important qualities of a good confession: transparency, humility, and obedience. To be a good penitent, we must express our sins with great clarity. Then we should make no excuses when we confess our sins or blame others. Finally, we should obey what the priest tells us. 20. Stay on Topic. In that famous TV Program Dragnet, we heard those all-important words from Joe Friday: Just the facts ma’am, just the facts. So in confession the priest wants to hear: Just the sins, mam, just the sins. Cut to the quick and tell your sins; that is the essential matter for confession, and of course a true and repentant heart! 21. Acts of Contrition and Absolution. The Sacrament concludes with you, the penitent, praying with great sincerity and fervor your Act of Contrition. Then the priest imparts absolution. With the words of Absolution through the ministry of the priest, the most Precious Blood of Jesus washes your soul clean, as white as the snow! 22. An Attitude of Gratitude. Thanks the priest, as you leave thank Jesus for His infinite love and mercy that you have received in this wonderful Sacrament! Give thanks to the Lord for He is good; His mercy endures forever. 23. Penance. The last a final step of making a good confession is to carry out the penance that the priest gave you. Once my spiritual director made a suggestion on the penance. He said always try to do double what the confessor gives you (not that this is absolutely necessary). However, it is a sign of good will and the sign of a really good grace of disposition. God will bless you all the more! God can never be outdone in generosity! 24. Healing the Wounded Heart and Soul. The specific sacramental grace of Confession is that of Healing. Sin wounds our soul, but Jesus heals us. As Jesus healed the many sick and infirm in the three years of His Public life, so He continually heals us through making good confessions. Rejoice in being healed! Indeed, Jesus is the Wounded Healer! 25. Be An Apostle of Confession! You have received so much peace, joy, happiness, love, and mercy through having received the Sacrament of God’s mercy, Confession, now go out and proclaim the Good News! Bring others to this infinite Font of God’s mercy! A wonderful memory of one of the most beautiful Basilica's I have ever seen. I was privileged to have visitied this amazing Basilica with the late Fr. Herve Gagnon shortly and parishioners of St. Francis Parish after I was ordained a deacon. I will never forget the VERY STRONG aroma of roses that came from the Jasper Column. If you followed the aroma of roses it would lead you behind the altar where you could kneel and vernerate the exact pillar that the Blessed Virgin Mary stood upon. The Basilica of Our Lady of the Pillar is an incredibly beautiful cathedral in the Baroque style. The 17th century cathedral features eleven cupolas, four grand towers and several frescoes by Francisco Goya. During the Spanish Civil War of 1936-1939, three bombs were dropped on the church. The bombs crashed through the roof and landed within the Sanctuary of Or Lady of the Pillar. None of the bombs exploded and when they were disarmed, the armorers found that there was no physical reason for their failure to explode. Perhaps Our Lady had a hand in that. The bombs are on display at the right-hand aspect of the sanctuary. According to ancient Palestinian and Spanish tradition, soon after the crucifixion and resurrection of Our Lord, the Blessed Virgin Mary advised Saint James the Greater to go to the Roman Province of Hispania. James, of course, was the son of Zebedee and Salome. James was also the brother of Saint John and both brothers were Apostles of Jesus Christ. As an important aside, Salome became a disciple of Jesus Christ and Mark 15:40 lists her as being present at the Crucifixion. She was also one of the women who went to Jesus’ Tomb to anoint His body with spices (Mark 16:1). Salome is one of the “Three Marys” and is often referred to as Mary Salome the Myrrh-Bearer. She is a Saint both in the Roman Catholic and Eastern Orthodox Churches. Back to James the Greater; the Spanish legend tells us that on January 2, 40 AD, Saint James was near the newly-built Roman town of Caesaraugusta in the Roman province of Hispania. James was disheartened by the apparent failure of his evangelizing mission, so he stopped to pray on the bank of the Ebro River. While James and his few disciples were deep in prayer, the Blessed Virgin Mary appeared to them. 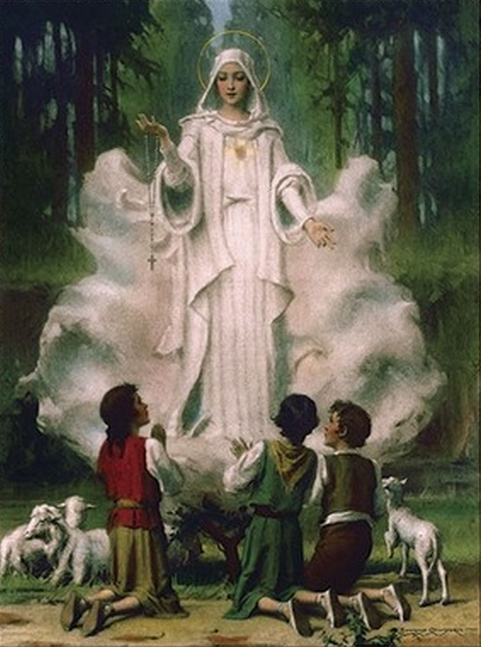 In the apparition, Mary stood on top of a marble pillar and she was accompanied by several angels. Mary assured James that he would soon have many converts to Christianity and that their faith would be as strong as the pillar upon which She was standing. Local tradition tells us that it took James and his disciples about one year to build the first simple chapel over the pillar and the wooden statue. Unbeknownst to James he had happened upon a “planned community” that was established for retired Roman Army soldiers and their dependents. Soon, the chapel was filled to overflowing at every Holy Mass. James the Greater left for Jerusalem at some time during the year 41 AD and he was beheaded by Herod Agrippa in 44 AD. His body was returned to the area of what would one day be known as Santiago de Compostela in North-Central Spain (see my blog on Santiago de Compostela for details). We have a couple of “firsts” to deal with here. Saint James the Greater was the first Apostle of Jesus Christ to have been martyred. Also, the church that James and his disciples built around pillar and the wooden statue was the first Christian church dedicated to the Virgin Mary. Further, the vision of the Blessed Virgin was the first Marian Apparition in history. The apparition of Our Lady of the Pillar is also unique in another way. The Virgin Mary was still alive and living in either Ephesus or Jerusalem when the apparition happened. Because of this, it’s apparent that Mary showed an ability that many Christian saints have exhibited over the ages … She was able to bilocate. Yup, She was in two places at the same time. The apparition of Our Lady of the Pillar has been accepted as sacred tradition since the dawn of Christianity. Many popes have issued Papal Bulls certifying the authenticity of both the shrine and the apparition of the Virgin Mary. Still, there were some in the Church who did not believe a miracle occurred on that evening in 40 AD. Because of this, Pope Innocent XIII of Spain asked the Holy See to look into the controversy. The Apparition of Our Lady of the Pillar was approved as a miracle by the Sacred Congregation of Rites on August 7, 1723. Below are the precise findings of the Congregation. The original chapel was eventually destroyed, but the pillar and the statue remained intact. Constantine ordered a Romanesque cathedral to be built over the site in the 4th century. The most recent church, the Basilica of Our Lady of the Pillar, is Baroque in style and construction work on it began in 1681. The original building was finished in 1711, but there were additions as late as 1872.
Notable Catholics who have prayed before the Altar of Our Lady of the Pillar include Saint John of the Cross, Saint Teresa of Ávila, Saint Ignatius of Layola, Blessed William Joseph Chaminade and Saint John Paul II. I hope you all have a wonderful and safe summer vacation. Many people go to the beach, camp sites or the mountains during the summer. It is a time to relax and enjoy ourselves, be with family and friends. One thing to remember is that God never takes a vacation from us, and we should never take a vacation from God. It is very important this summer to take time for prayer and reading. Take the Bible and a good spiritual book with you and make the Lord a part of your vacation. I just started to read the classic: An Introduction to the Devout Life by St. Francis deSales. So far, I am really enjoying this. The next book on my list to read is the Cloud of Unknowing. The Cloud of Unknowing is an anonymous work of Christian mysticism written in Middle English in the latter half of the 14th century. The text is a spiritual guide on contemplative prayer in the late middle ages. In Bethlehem we visited the Church of the Nativity. We waited in line to go down to the grotto. It would have been a long wait. The tour guide mentioned to me that if we wanted to go to Mass in the Church of the Nativity we would need to leave the line and come back later. I remember a few individuals we not happy we left the line, even though I mentioned that Mass was the most important event to attend. After Mass we were told to go into the main chapel and that we would process down to the grotto with the Franciscan Friars. We were the only group that processed with the friars to the grotto where we participated in a prayer service and sang, Silent Night. We individually were able to kneel down under the altar and kiss the Star of Bethlehem. The spot where Jesus Christ was born. I’m getting goose bumps thinking about that as I write this. I believe the Lord rewarded the group for leaving the line and attending Mass. Also, when you look at your Nativity Scene in your home or Church, thank St. Francis of Assisi. I ask you for your prayers for all the homeless men, women and children this Christmas that they may find a place of shelter, food and warmth. May the infant Jesus watch over them and keep them safe. My Prayer for all of you is that you, your family and friends will have a Holy and Merry Christmas, and that the Infant Jesus born in Bethlehem with bestow upon you many blessings. Join me, Fr. Sean Maher, and Fr. Bill Sheehan for an unforgettable trip of a lifetime as we walk in the footsteps of Jesus. Visit Nazareth, Bethlehem, Capernaum, Sea of Galilee, the Church of the Holy Sepulchre (tomb of Jesus)Mount Tabor (Church of the Transfiguration). Take a swim in the Dead Sea. Enjoy a cable car to the top of Masada and much, much more. Starting Saturday October 1, 2016, St. Francis Parish will be starting a MONTHLY St. Padre Pio Prayer Group. Thousands of Padre Pio prayer groups exist all around the world, where devotees and Spiritual Children of Padre Pio get together and Pray, Attend Holy Mass and Adore Jesus in the Most Blessed Sacrament, and listen to writings, meditations and learn more about this great saint of the church. The main intention of this prayer group is praying for priests. The monthly schedule will be as follows. 9:30a.m. - 10:30a.m. - Adoration and Benediction of the Most Blessed Sacrament. THE art of lectio divina begins with cultivating the ability to listen deeply, to hear “with the ear of our hearts” as St. Benedict encourages us in the Prologue to the Rule. When we read the Scriptures we should try to imitate the prophet Elijah. We should allow ourselves to become women and men who are able to listen for the still, small voice of God (I Kings 19:12); the “faint murmuring sound” which is God’s word for us, God’s voice touching our hearts. This gentle listening is an “atunement” to the presence of God in that special part of God’s creation which is the Scriptures. The cry of the prophets to ancient Israel was the joy-filled command to “Listen!” “Sh’ma Israel: Hear, O Israel!” In lectio divina we, too, heed that command and turn to the Scriptures, knowing that we must “hear” - listen - to the voice of God, which often speaks very softly. In order to hear someone speaking softly we must learn to be silent. We must learn to love silence. If we are constantly speaking or if we are surrounded with noise, we cannot hear gentle sounds. The practice of lectio divina, therefore, requires that we first quiet down in order to hear God’s word to us. This is the first step of lectio divina, appropriately called lectio - reading. ONCE we have found a word or a passage in the Scriptures which speaks to us in a personal way, we must take it in and “ruminate” on it. The image of the ruminant animal quietly chewing its cud was used in antiquity as a symbol of the Christian pondering the Word of God. Christians have always seen a scriptural invitation to lectio divina in the example of the Virgin Mary “pondering in her heart” what she saw and heard of Christ (Luke 2:19). For us today these images are a reminder that we must take in the word - that is, memorize it - and while gently repeating it to ourselves, allow it to interact with our thoughts, our hopes, our memories, our desires. This is the second step or stage in lectio divina - meditatio. Through meditatio we allow God’s word to become His word for us, a word that touches us and affects us at our deepest levels. FINALLY , we simply rest in the presence of the One who has used His word as a means of inviting us to accept His transforming embrace. No one who has ever been in love needs to be reminded that there are moments in loving relationships when words are unnecessary. It is the same in our relationship with God. Wordless, quiet rest in the presence of the One Who loves us has a name in the Christian tradition - contemplatio, contemplation. Once again we practice silence, letting go of our own words; this time simply enjoying the experience of being in the presence of God. Practice - spiritual activity - referred in ancient times to our active cooperation with God’s grace in rooting out vices and allowing the virtues to flourish. 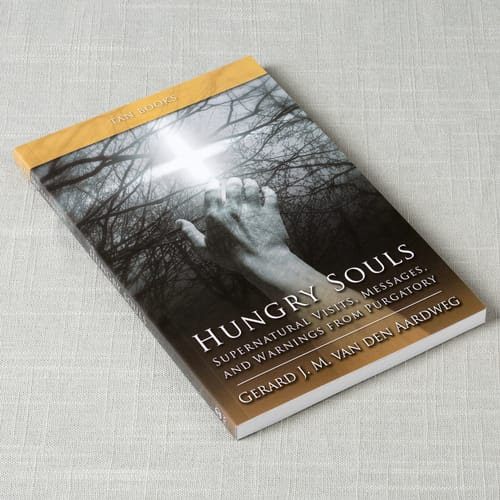 The direction of spiritual activity was not outward in the sense of an apostolate, but inward - down into the depths of the soul where the Spirit of God is constantly transforming us, refashioning us in God’s image. The active life is thus coming to see who we truly are and allowing ourselves to be remade into what God intends us to become. In contemplation we cease from interior spiritual doing and learn simply to be, that is to rest in the presence of our loving Father. Just as we constantly move back and forth in our exterior lives between speaking and listening, between questioning and reflecting, so in our spiritual lives we must learn to enjoy the refreshment of simply being in God’s presence, an experience that naturally alternates (if we let it!) with our spiritual practice. In ancient times contemplation was not regarded as a goal to be achieved through some method of prayer, but was simply accepted with gratitude as God’s recurring gift. At intervals the Lord invites us to cease from speaking so that we can simply rest in his embrace. This is the pole of our inner spiritual rhythm called contemplation. How different this ancient understanding is from our modern approach! Instead of recognizing that we all gently oscillate back and forth between spiritual activity and receptivity, between practice and contemplation, we today tend to set contemplation before ourselves as a goal - something we imagine we can achieve through some spiritual technique. We must be willing to sacrifice our “goal-oriented” approach if we are to practice lectio divina, because lectio divina has no other goal than spending time with God through the medium of His word. The amount of time we spend in any aspect of lectio divina, whether it be rumination, consecration or contemplation depends on God’s Spirit, not on us. Lectio divina teaches us to savor and delight in all the different flavors of God’s presence, whether they be active or receptive modes of experiencing Him. In lectio divina we offer ourselves to God; and we are people in motion. In ancient times this inner spiritual motion was described as a helix - an ascending spiral. Viewed in only two dimensions it appears as a circular motion back and forth; seen with the added dimension of time it becomes a helix, an ascending spiral by means of which we are drawn ever closer to God. The whole of our spiritual lives were viewed in this way, as a gentle oscillation between spiritual activity and receptivity by means of which God unites us ever closer to Himself. In just the same way the steps or stages of lectio divina represent an oscillation back and forth between these spiritual poles. In lectio divina we recognize our underlying spiritual rhythm and discover many different ways of experiencing God’s presence - many different ways of praying. Place yourself in a comfortable position and allow yourself to become silent. Some Christians focus for a few moments on their breathing; other have a beloved “prayer word” or “prayer phrase” they gently recite in order to become interiorly silent. For some the practice known as “centering prayer” makes a good, brief introduction to lectio divina. Use whatever method is best for you and allow yourself to enjoy silence for a few moments. Then turn to the text and read it slowly, gently. Savor each portion of the reading, constantly listening for the “still, small voice” of a word or phrase that somehow says, “I am for you today.” Do not expect lightening or ecstasies. In lectio divina God is teaching us to listen to Him, to seek Him in silence. He does not reach out and grab us; rather, He softly, gently invites us ever more deeply into His presence. Next take the word or phrase into yourself. Memorize it and slowly repeat it to yourself, allowing it to interact with your inner world of concerns, memories and ideas. Do not be afraid of “distractions.” Memories or thoughts are simply parts of yourself which, when they rise up during lectio divina, are asking to be given to God along with the rest of your inner self. Allow this inner pondering, this rumination, to invite you into dialogue with God. Then, speak to God. Whether you use words or ideas or images or all three is not important. Interact with God as you would with one who you know loves and accepts you. And give to Him what you have discovered in yourself during your experience of meditatio. Experience yourself as the priest that you are. Experience God using the word or phrase that He has given you as a means of blessing, of transforming the ideas and memories, which your pondering on His word has awakened. Give to God what you have found within your heart. Finally, simply rest in God’s embrace. And when He invites you to return to your pondering of His word or to your inner dialogue with Him, do so. Learn to use words when words are helpful, and to let go of words when they no longer are necessary. Rejoice in the knowledge that God is with you in both words and silence, in spiritual activity and inner receptivity. Sometimes in lectio divina one will return several times to the printed text, either to savor the literary context of the word or phrase that God has given, or to seek a new word or phrase to ponder. At other times only a single word or phrase will fill the whole time set aside for lectio divina. It is not necessary to anxiously assess the quality of one’s lectio divina as if one were “performing” or seeking some goal: lectio divina has no goal other than that of being in the presence of God by praying the Scriptures. LECTIO DIVINA is an ancient spiritual art that is being rediscovered in our day. It is a way of allowing the Scriptures to become again what God intended that they should be - a means of uniting us to Himself. In lectio divina we discover our own underlying spiritual rhythm. We experience God in a gentle oscillation back and forth between spiritual activity and receptivity, in the movement from practice into contemplation and back again into spiritual practice. Lectio divina teaches us about the God who truly loves us. In lectio divina we dare to believe that our loving Father continues to extend His embrace to us today. And His embrace is real. In His word we experience ourselves as personally loved by God; as the recipients of a word which He gives uniquely to each of us whenever we turn to Him in the Scriptures. Finally, lectio divina teaches us about ourselves. In lectio divina we discover that there is no place in our hearts, no interior corner or closet that cannot be opened and offered to God. God teaches us in lectio divina what it means to be members of His royal priesthood - a people called to consecrate all of our memories, our hopes and our dreams to Christ. I am overjoyed by the news today, that our Holy Father Pope Francis has approved the second miracle that is required to make Blessed Mother Teresa of Calcutta a Saint. I had the great honor of meeting Mother Teresa in the summer of 1981 when I worked with the Oblates of Mary Immaculate in the Bronx section of New York. We ran a soup kitchen and also worked in a parish summer program with the kids of who lived in the Bronx. The Missionaries of Charity worked with us. It was at the profession of some of the sisters that we attended, where Mother came to the Mass as well. We were fortunate to get to meet her after Mass in the parish yard. My friends John, Norman and I were standing about 3 feet from Mother when we noticed she started to walk alone back to the convent, behind the parish church. We both had a prayer card from the profession and Norman was pushing me to go and ask for her autograph. (Live she was a sports figure). I ran up to her calling out MOTHER, MOTHER... It was then that she turned around and looked at me with a smile. I asked if she would sign my prayer card, which she did so graciously. (I still have and cherish this prayer card, that is now a relic.) After she took me by the hands and asked me my name and where I was from. We told her we were in the Bronx working with her sisters. She was delighted. She kissed me on the cheek and walked to the convent. I will never forget that moment as long as I live. I stood there with tears in my eyes, realizing I just met, touched and spoke with a living Saint. Through prayer, I decided to name the ministry after Blessed Mother Teresa. After that, the ministry has flourished greatly. I know Mother is with us, and guiding us in the work we do for Jesus. The backpacks with be blessed and touched by a First Class relic of Blessed Mother Teresa, that was given to me by the sisters in her community. The relic is extremely rare, considering her body is buried in the tomb of the Mother House in Calcutta. I plan on traveling to Rome for her Canonization..... Who wants to go? simply child's play, innocent fun. and the saints tell us otherwise. three times by a recently deceased nun. could be released from purgatory. than souls of the living." Today, fewer people say they believe in purgatory. Visitors from the other side tell us a different story. old Lucia asked Mary if they would go to heaven. have to "pray many rosaries". "Is Maria das Neves in Heaven?" "Yes, she is" [answered Mary]. and refuge in his little German church. spirit of his mother, dead for three decades. be able to put down after you start reading. who were sentenced to suffer time in purgatory. in detail the reality and necessity of purgatory. These are trustworthy, Church-verified accounts. witnesses report feeling intense heat. of their hands leaves burn marks. of what we have to suffer! nearest to us in the world: that is most bitter. our bodies and don't pray for us at all. They act as if we don't exist any more. God's justice commands us to be silent. of our former dwellings, and wait. We stand there and wait. sign of their love by prayer and sacrifice. But we stay there in vain. We cry in vain for love. For help! Tell them...Love should not die at death. hungry for love! For your love!" Celebrated the Wedding of Edward and Kimberly Valliant last Saturday. This picture was taken on the parish walkway. I would like to thank all those who have made donations to the Blessed Mother Theresa Homeless Ministry. The donations that have come from parishoners have been outstanding. Thank you to the parishioners who continually donate sandwiches, socks, fruit and other goodies. You are a blessing to all those we meet. However, a huge thank you to all who come regularly on Saturdays to prepare the food and deliver it to the homeless. You are a great blessing to all those we meet, and to me as well. So team members can take a weekend off once and a while, I have created two teams. Each team will have a team captain as well as team assistants. As new team members join, I will update the list. I have named Ed Goodwin and Miguel Ponte as the Team Captains. It will be the responsibility of the Team Captains to make sure the food is obtained and prepared by the team, as well as making sure that prayers are said (Blessing of the Food)before going on the road. I will be with both teams. Team B -Team Captain Miguel Ponte, Joanne Clark, Fred Marion, Dean Marion, Barbara Howes, Trisha Lapointe. Again, thank you for all you do. You are truly a blessing to the parish, to me and more importantly to those you minister to. What an AMAZING Pilgrimage to the Holy Land. We walked where Jesus was born, walked, preached, healed the sick, was crucified,died and rose from the dead. It was a very Holy experience by all. Fr. Brian celebrated Mass at several holy places and the most special was Mass in the Tomb of Christ. Mass here is extremely a rare occurance. It was an great honor for me to recieve the Pilgrim Shell from the Latin Patriarch of Jerusalem. As a Knight of the Equestrian Order of the Holy Sepulchre of Jerusalem, we are required to make a pilgrimage to the Holy Land once in our lifetime. Below is information on the Pilgrim Shell. The Pilgrim Shell is the choicest decoration of the Order, and is awarded by the Latin Patriarch of Jerusalem. Any Knight or Lady of the Order in good standing, who makes a pilgrimage to Jerusalem and prays at the site of the Holy Sepulchre of our Risen Lord, can earn the Pilgrim Shell. It testifies that the Knight or Lady of the Order has seen the results of his or her charity and knows the importance of the mission of the Order and the fulfillment of the apostolate. It is the goal of every member. The Pilgrim Shell is a scalloped shell, the ancient badge of a pilgrim, oxidized in silver and overlaid with the Cross of Godfrey of Bouillon enameled in red and bordered in gold. It is worn on the outside of the cape, scalloped edge down, centered on the red felt cross of the Order. The Pilgrim Shell and the 2000 Jubilee medal are the only decorations to be worn on the cape. When worn with other decorations on business or formal attire, no decoration is placed above the Pilgrim Shell. The identification of a seashell with a pilgrim is of ancient origin. In the beginning, the shell was never awarded or conferred on the recipient as it is today. Instead, it was a self-chosen decoration that the pilgrim proudly pinned on his own cloak, so that as he returned homeward, other pilgrims would know that the wearer had made it to the place of pilgrimage. Legend has it that Saint James, the apostle, had been the apostle of the Iberian Peninsula and had first brought the Good News of salvation to the people of that part of the world. He subsequently made his way back to Palestine to die and after death his body was returned to Spain to be buried in his own mission land in the city now called Santiago de Compostela, in honor of the apostle. In the 9th Century, the place of his burial was rediscovered and gradually became a place of pilgrimage. Before the first Crusade in the 11th Century, Christians were not allowed by the Seljuk Turks to visit the Holy Land and Jerusalem. As a result, the faithful started to flow from all parts of Europe by different routes and streams, to pay homage to Our Lord at the spot where one of His apostles lay buried - Santiago de Compostela. Each year thousands of pilgrims visited and prayed at the tomb of St. James. Since Santiago de Compostela is so close to the sea, seashells were abundant and they became the badge of one who had traveled there. As they started the long walk home, the shell on their garment was a symbol of encouragement to those whom they passed who were on their way to visit the Tomb of St. James. As history changed, pilgrims once again started their arduous trips to Palestine and the land of Jesus, but the Sea Shell of Santiago de Compostela had become the sign of a successful pilgrimage, and out of faith and tradition it remained the badge of pilgrims. To this day, the Pilgrim Shell is the most coveted award to be earned by a member of the Equestrian Order of the Holy Sepulchre of Jerusalem who has made a prayerful pilgrimage to the Holy Land. A pilgrimage to the Holy Sepulchre and Holy Land is a moral obligation of every Knight and Lady of the Equestrian Order of the Holy Sepulchre of Jerusalem and should be realized, with the help of God, at least once during each one's lifetime. The pilgrimage helps us to attain a better insight into our lives as a "pilgrimage of faith" and to understand their foundation in the Resurrection of the Lord, it opens us to mutual ecumenical and charitable understanding with our brothers and sisters in the Faith, and it reminds us that the "Way of the Cross" is the way that leads to life and hope. The pilgrimage to the Sepulchre of the Lord and to other Holy Places is also an act of solidarity with our Brothers and Sisters in the Holy Land. Our presence among them is an encouragement to the minority Christian people of the land, living amid so many problems, pressures, and difficulties. Pilgrims' deepened faith and new experience of the "Land of the Bible" and its people enables them to give a particular witness to those with whom they live and work. Starting Sunday November 10, 2013, our parish will start praying for vocations with the “Elijah Cup”. Praying for vocations is a responsibility and privilege of the laity. The ‘Elijah Cup” is a chalice that will be presented to a family each Sunday at the conclusion of Mass. The Mass you receive the chalice will be your choice, however you must return the chalice to the assigned Mass the following week. That family will take the “Elijah Cup” home and use it as a focal point while praying daily for an increase in religious vocations. In successive weeks, the Elijah Cup” is passed to other families. The purpose of the Elijah Cup, a consecrated chalice is to provide a focal point for prayer. We are all aware of the need for vocations to the priesthood, diaconate and religious life. But sometimes we forget just how powerful praying for vocations can be. If we pray with the faith of the widow of Zarapeth, our cup will never run dry. We will always have priests to bring us Jesus in the Eucharist. In 1:Kings 17, during a drought, Elijah tells the poor widow of Zarapeth that if she makes him a small loaf of bread with the last of her flour and oil, her “ jar of flour will not go empty, nor the jug of oil run dry, until the Lord sends rain upon the earth.” In faith, the widow baked the bread and fed Elijah. For the next year, the widow, her son, and Elijah ate bread made from the bowl of flour and jug of oil.. The 2nd Vatican Council instructs us that it is the job of the laity to pray and raise up vocations, and this has been echoed by Blessed Pope John Paul II in many of his teachings. The Custodian and Parish Coordinator of the “Elijah Cup” is Deacon John C. Hunt Jr. Please see Deacon John for more information. Listen next week for more details from the pulpit. 1. If God loves you so much that He sent His only Son to redeem you, don’t you think that He loves you enough to care about your personal problems? 2. Looking at the big picture (which is sometimes difficult), Jesus’ Passion and Resurrection makes it possible for each one of us to live forever in Heaven with NO PROBLEMS OR SUFFERING. What a sweet deal! 3. All we have to do is BELIEVE in Him and OBEY His commandments (don’t forget this part) and that possibility (of eternal life) will become a reality! I recommend that you spend some time meditating on this verse, especially if you’re worried or suffering. Remember that God loves you and He knows what you’re going through. If He’s allowing you to suffer, know that some good will come out of that suffering. Remind yourself that He’s right there with you. Recall the fact that one day your earthly problems will be gone and that you’ll have the chance to live with Him in Heaven…FOREVER! That should be enough to get you through even the most difficult struggles! A man has been in business for many, many years and the business is going down the drain. He is seriously contemplating suicide and he doesn't know what to do. He goes to his Rabbi to seek advice. He tells the Rabbi about all of his problemsin the business and asks the Rabbi what he should do. The Rabbi says "Take a beach chair and a Bible and put them in your car and drive down to the edge of the ocean. Go to the water's edge. Take the beach chair out of the car, sit on it and take the Bible out and open it up. The wind will riffle the pages for a while and eventually the Bible will stay open at a particular page. Read the firstwords your eyes fall on and they will tell you what to do." The man does as he is told. He places a beach chair and a Bible in his car and drives down to the beach. He sits on the chair at the water's edge and opens the bible. The wind riffles the pages of the Bible and then stops at a particular page. He looks down at the Bible and his eyes fall on words which tell him what he has to do. Three months later the man and his family come back to see the Rabbi. The man is wearing a $1,000 Italian suit, The wife is all decked out with a full-length mink coat and the child is dressed in beautiful silk. The man hands the Rabbi a thick envelope full of moneyand tells him that he wants to donate this money to the synagogue in order to thank the Rabbi for his wonderful advice. The Rabbi is delighted. He recognizes the man and asks him what words in the Bible brought this good fortune to him. The man replies: "Chapter 11"
Outdoor Mass. If it wasn't nailed down, it would have blown away. The heavy winds started at the beginning of Mass and ended right after Mass. Hmmmmm. My hair (what I have left) looked like I put my finger in a light socket after those 100mph winds. Also,Great job on the music by the Instruments of Faith. Food I have to say, I was looking for the Cheeseburgers, and was disappointed until I tried one of the bread bowls with Fr. Brian's FAMOUS Chili. TOTALLY AWESOME. The soups were also TOTALLYAWESOME. Also, the amazing dessert room. I could see myself getting locked up for the Deacon in the Dungeon in that room with all those desserts. It was great seeing so many people there, of all ages. Truly a parish family. I salute all of you who planned, prepared, served, cleaned and gave your precious time for this great picnic. Thank you for all you do for our parish family. Pope Francis presides over a day of Prayer and Fasting for peace in Syria. Our Holy Father Pope Francis, recently presided over a day of prayer and fasting for peace in Syria. I watched the prayer services on EWTN, and I have to say, I was extremely impressed with the Holy Father and the 100,000 plus lay faithful who were present at St. Peter's Square and the millions who watched via television. I was also overjoyed by the response of the parishoners of St. Francis Parish who attended the the parish Holy Hour for peace. We must pray for peace. Violence of any kind, leads to more violence. Peace must start with each of us, as St. Francis of Assisi said so well, in his famous prayer. "Make ME a channel of your peace." He didn't day Make THEM a channel of your peace. He understood that peace starts with ourselves. Let us pray for our president and for all those politicians who are involved in the decision of military action against Syria, that Our Lord may touch their hearts, and guide them to a peaceful solution. father as to when they could discuss his use of the car. up from a C to a B average, study your Bible, and get your hair cut. offer, and they agreed on it. disappointed you haven't had your hair cut. Stay with me, Lord, because I am weak and I need Your strength, that I may not fall so often. Stay with me, Lord, for You are my life, and without You, I am without fervor. Stay with me, Lord, for You are my light, and without You, I am in darkness. Stay with me, Lord, to show me Your will. Stay with me, Lord, so that I hear Your voice and follow You. Stay with me, Lord, for I desire to love You very much, and always be in Your company. Stay with me, Lord, if You wish me to be faithful to You. Stay with me, Lord, for as poor as my soul is, I want it to be a place of consolation for You, a nest of love. Stay with me, Jesus, for it is getting late and the day is coming to a close, and life passes; death, judgment, eternity approaches. It is necessary to renew my strength, so that I will not stop along the way and for that, I need You. It is getting late and death approaches, I fear the darkness, the temptations, the dryness, the cross, the sorrows. O how I need You, my Jesus, in this night of exile! Stay with me tonight, Jesus, in life with all it’s dangers. I need You. Let me recognize You as Your disciples did at the breaking of the bread, so that the Eucharistic Communion be the Light which disperses the darkness, the force which sustains me, the unique joy of my heart. Stay with me, Lord, because at the hour of my death, I want to remain united to You, if not by communion, at least by grace and love. Stay with me, Jesus, I do not ask for divine consolation, because I do not merit it, but the gift of Your Presence, oh yes, I ask this of You! Stay with me, Lord, for it is You alone I look for, Your Love, Your Grace, Your Will, Your Heart, Your Spirit, because I love You and ask no other reward but to love You more and more. The deep sea fishing trip was a huge success, with everyone catching numerous fish. Cod, Haddock, Pollack, Cusk and Red Snapper were caught and fileted. I even ate shark for the 1st time. Not bad. The largest fish caught goes to Jessica Keefe. Great Job Jess. A few months back, I was getting a haircut and the individual cutting my hair noticed that I was wearing some sort of cloth “necklace”, but I told this person; it’s not a necklace, it’s the Brown Scapular. Having no idea what I meant by that word, I said, it’s like Catholic Dog Tags. 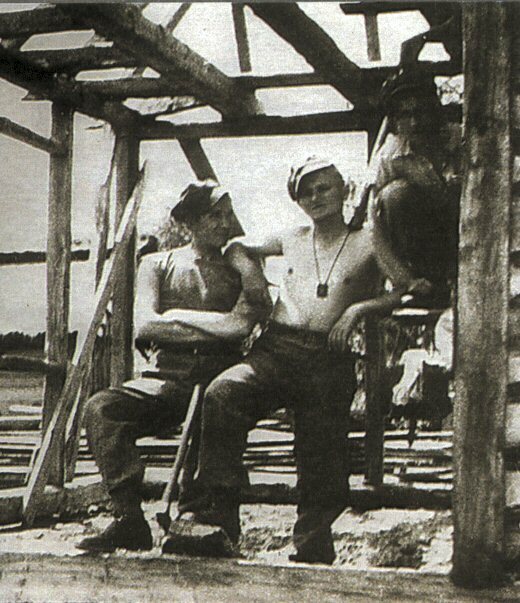 As soldiers wear dog tags to identify them, the Brown Scapular should identify Catholics who wear them. Today we celebrate the dual feasts of Our Lady of Mount Carmel and the “Scapular of Mount Carmel.” The first feast commemorates the place of honor, Mount Carmel, where tradition tells us that the Blessed Virgin Mary assumed into heaven. It’s also the primary feast day for the Carmelites who take their name from the same site. The second feast commemorates the event that happened on this day in 1251. Tradition says that the Blessed Mother appeared to Saint Simon Stock (1165-1265), Prior General of the Carmelites in England, and showed him the scapular. The Brown Scapular (scapula – Latin for shoulder) is composed of two small pieces of cloth united by strings that is worn over the shoulders as a sign of protection and devotion to the Blessed Virgin Mary. It’s brown because it’s connected to the Carmelite order who wear brown habits. The scapular provides the “scapular promise” – which states that anyone who wears it faithfully will be saved from eternal damnation from Hell and will attain graces for final perseverance into Heaven. On March 25, 2001, during the 750th Anniversary of the Bestowal of the Scapular, Blessed John Paul II said in regards to his own devotion to the scapular, “I too have worn the Scapular of Carmel over my heart for a long time! 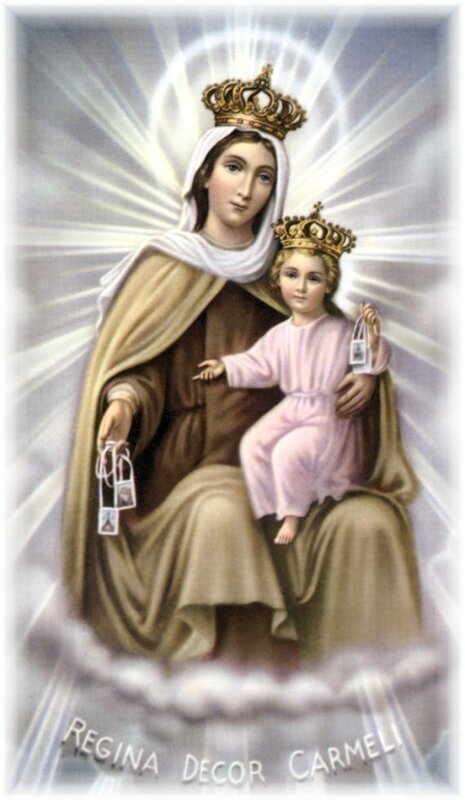 Out of my love for our common heavenly Mother, whose protection I constantly experience…” Since the year 1280 A.D., every Pope has worn the Brown Scapular. We must be careful not to enter into formalism when it comes to the Scapular. Formalism is “an exterior act that is not accompanied by the necessary and corresponding interior disposition of the will” (Introduction to Mary, page 173). When one wears the scapular externally it should be mirroring the person’s internal thoughts of mind and heart to serve the Almighty God, to love the Blessed Virgin Mary, and be obedient and truthful to the teachings of the Church. The Scapular assists one to live in the station of life that they currently abide and to follow in service to Christ and his Blessed Mother. Wearing the Scapular does not substitute living a Christian life and will not keep you from sin, but can provide the necessary motivation to live a life according to Jesus Christ. Through Our Lady’s motherly Queenship and Advocacy, the Scapular has a strong spiritual ability since she intercedes for the graces when things seem dark and hopeless. There are countless souls throughout the history of the Church that have found themselves in darkness and despair. However, many of these people have found a conversion of heart simply because they were wearing the Scapular. The spiritual graces of the Scapular should never be underestimated. Encompassed in the Scapular devotion is what is known as the “Sabbatine” privilege. Its origin begins with Pope John XXII who was inspired by the Blessed Mother to declare a papal bull. The magisterial document stated that the souls in Purgatory who wore the Scapular during their earthly life would have the intercessory power of the Blessed Virgin Mary. They also were to be chaste, according to one’s state in life, and prayers were offered for this intention at the request of their confessor. Other Popes after John XXII have also mentioned this privilege that focuses its attention on First Saturdays (Introduction to Mary, pages 174-175). 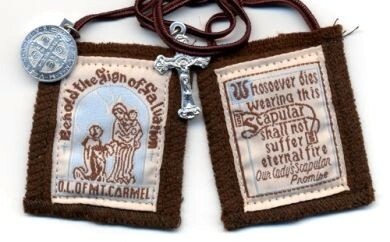 As one who has been wearing the Brown Scapular since the summer of 2009, I would encourage my Catholic brothers and sisters to purchase one immediately and follow the consecration enrollment. As the persecutions begin for us as Christians today, we all need our Catholic Dog Tags as we put on the armor of God (Eph 6:11) and engage the spiritual and rhetorical battles that are before us. With the Brown Scapular upon our shoulders, we will have the grace of Jesus Christ through the intercessory prayer of the Blessed Virgin Mary to guide us in all things. There were more than twelve apostles? What does it take to be an apostle? St. Barnabas is honored in the Church and in the Scriptures as an apostle. While not one of the twelve, he is given this title (together with St. Paul) in Acts 14:13 – The apostles Barnabas and Paul. In her liturgy, the Church commemorates St. Barnabas as an apostle, though not with the same solemnity with which she honors St. Paul and St. Matthias or any of the Twelve. Can we say that St. Barnabas is truly an apostle? If so, how many apostles are there? And, is St. Barnabas an apostle like St. Peter? Is he an apostle like St. Paul? However, although both Sts. Matthew and John refer to the concept of “the twelve apostles,” and although this concept is quite familiar to our thought, it is quite obvious that there are more than twelve men whom we honor as apostles. Indeed, we must admit that there are at least fourteen, or perhaps even fifteen, apostles. Certainly, St. Matthias, who was chosen to replace Judas Iscariot, is rightly numbered among the twelve as an apostle. Furthermore, even St. Paul (who is never numbered among the twelve) must be called an apostle – indeed, we generally call St. Paul the Apostle! Now, we certainly are correct in stating that there were “twelve apostles,” insofar as our Savior called those twelve men to the apostolic college during his sojourn upon earth. However, there can be no doubt that Sts. Matthias and Paul are “apostles” equal to the twelve. Though Matthias was not chosen by Jesus during his life, he was chosen by the Holy Spirit to replace Judas in the days between the Ascension of our Savior and Pentecost. St. Paul, on the other hand, was chosen directly by our Savior and appointed by him as an apostle. This is what makes the apparition of Jesus to St. Paul so unique – unlike every other vision or apparition of Jesus since the Ascension, our Savior appeared to St. Paul in his own proper body and in his natural species. Whenever the Lord appears to a mystic, it is not in his own real body, but only by mode of vision (or by use of some other matter, after the manner in which angels have appeared in bodily form). However, St. Paul saw Jesus in his glorified body, just as really and truly as did St. Peter and the other apostles. Considering Sts. Matthias and Paul, we may recognize certain conditions and requirements of being an “apostle” in the strict sense of the term. It is clear that an apostle must have seen the risen Lord. This was the one great condition placed on the election of a successor to Judas. St. Matthias was one of these who had been with the Lord from the beginning, through the Passion, and he was further a witness to the Lord’s Resurrection and Ascension. It was necessary for him to have been present for these events, so that he could properly bear witness to the truth of the Resurrection. Any who were not eyewitnesses to these things could not be numbered among the twelve. St. Paul, on the other hand, did not know Jesus during his earthly life. However, because he was a witness to the Resurrection of Jesus by means of this wholly exceptional bodily apparition of our Savior to St. Paul (something which will not occur again until the Last Judgment), St. Paul was indeed considered to be a true apostle. From this, we may ascertain the two major conditions of the apostolate: That he be a witness to our Lord’s Resurrection by having actually seen the risen Jesus, and that he have received the Gospel directly from our Savior and not through any medium. We further specify that only men could be numbered among the apostles, as only men could properly hold the apostolic office of governing, teaching, and sanctifying in the Church, obviously. Is St. Barnabas a true apostle? This, then, brings us to the question of St. Barnabas. Is he truly an apostle in the same sense that Sts. Peter, Matthias, and Paul are apostles? While it is true that he is honored by the Church as an apostle, and certainly has a share in the dignity of the apostles, it does not seem that we can consider St. Barnabas to be an apostle in the same way as St. Paul or St. Peter. Although Clement of Alexandria claims that St. Barnabas was among the seventy disciples who were commissioned by our Savior, this seems to contradict Acts of the Apostles where Barnabas is presented as a new convert to the faith sometime after Pentecost. Now, Acts is certainly not conclusive. It is possible that Barnabas was among the seventy and could therefore have been a witness to Jesus’ resurrection just as Matthias was. However, it is noteworthy that the Scriptures never present him as such. One might object: But the Church honors him as an apostle! To this we reply that the Church does indeed give him the title of “apostle,” after the fashion of the Scriptures. However, his feast in the Church has never been kept with the same solemnity as those of the other apostles. While St. Matthias even is honored with a proper “feast,” St. Barnabas’ commemoration is only a “memorial” (we refer to the revised calendar, but the same holds true in the more ancient liturgical calendar as well). Thus, while it is true that the Church honors Barnabas as an apostle, it is also true that she seems to indicate something of a difference between Barnabas and the others. Why call him an apostle? Still, although it is most likely that St. Barnabas cannot qualify as an apostle in the strict sense of the term, he is still rightly honored as an apostle on account of the fact that he was among the most prominent missionaries in the first days of the Church. Furthermore, we must recall that it was St. Barnabas who testified in behalf of St. Paul and defended the authenticity of his calling as an apostle. Again, it was St. Barnabas who encouraged St. Mark (or John Mark) even when St. Paul had rejected him on account of his having abandoned an early mission. Thus, because of his close association with the apostles, and most especially because of the manner in which he secured St. Paul’s acceptance as an apostle, St. Barnabas has rightly been honored with the dignity of an apostle (even if he did not strictly share in the office). St. Barnabas, pray for us! Communion in the Hand. Is it an abuse of the Eucharist? Here is what a pastor in California has to say. Since the practice of Communion in the hand has become the common observance in most countries, there has been, whether you like admit it or not, a spike in Eucharistic abuse. Communion in the hand has given those who wish to do harm and those who are careless the opportunity to do what they want with the Body of Christ. Unfortunately, the situation described above is not uncommon. In fact, it’s quite the opposite. Furthermore, Communion in the hand has the potential to promote or at least foster a disrespect for the Body of Christ. As Catholics, we believe this small Host does not represent Christ, but is Christ Himself. How can we, then, possibly touch the living presence of God with our bare, dirty, unconsecrated, and unworthy hands? How? How have we even considered this as an option in the first place? The answer can be given using one word: disobedience. The practice came about in the early 1960s (after Vatican II, though the Council never actually called for it), when certain parishes around the world began to disobey the Church’s rule of receiving the Host on the tongue, making their own rules as to whether or not you could receive on the hand. The Vatican immediately responded in disapproving words, saying that this disobedient practice would lead to “the possibility of a lessening of reverence toward the august sacrament of the altar, its profanation, and the watering down of the true doctrine of the Eucharist” (Memoriale Domini). When Pope Paul VI in 1968 sent out a questionnaire to every bishop in the world asking if the Church should alter how Communion was being distributed, the answer came back loud and clear: in the hand was overwhelmingly disapproved of and should not be allowed. The Vatican agreed, stating that if the practice of Communion on the hand be allowed, “it would be an offense to the sensibilities and spiritual outlook of these bishops and a great many of the faithful” (Memoriale Domini). Unfortunately, the practice continued to be promulgated by parishes and dioceses alike, most especially in France. So, in 1969, Paul IV granted the French bishops an indult—a special permission (not a norm)—to decide the question on their own. What happened next was an abuse of that indult: parishes around the world took advantage and permitted the practice of Communion in the hand. Despite the Vatican’s best efforts, the disobedience continued and today, most Catholics are under the erroneous idea that Communion on the hand is the norm, because it is seemingly most common. However, the norm does not mean the most common, but instead is the practice which is supported by the Universal Church and to which the laity should be adhering. You want to know what that norm is? Kneeling or standing to receive the Eucharist on the tongue and, if standing, to receive with arms crossed or in another way as reverential. Look it up if you don’t believe me. (This is the norm of the Universal Church; in the US, however, as in other countries, the Conference of Bishops have established the norm of standing to receive, and that it is up the the communicant to decide whether he wants to receive in the hand or on the tongue). These days, the practice of Communion on the hand is increasingly frowned upon by bishops, priests, and the laity. Several dioceses in South America have banned the practice altogether, while Sri Lanka never allowed it in the first place—both of which the Congregation of the Doctrine of the Faith fully supports. If the Eucharist is God, then why are we touching Him? Moses could not come within ten feet of the burning bush without taking off his shoes; the haemorrhaging woman crawled up to Jesus and barely grazed the hem of His garment; the saints have extolled the utter profundity of receiving the Eucharist. In the Eucharist, the mysticism, the beauty, the awesomeness of God are all present. We must, we absolutely must, remember this when we approach Him at Mass. We should never forget that we owe everything to Him, and if we do not receive Him respectfully out of sheer reverence, then we should at least do so out of gratitude. As the pastor at this Californian church finished his short exhortation by saying, “I urge all of you to receive on the tongue, and if you don’t like to, offer it up! Please email me your comments @ deacon@saintfrancis.net . In the subject line type, communion in the hand. I am interested in your thoughts. "Bless me Father for I have sinned; last night I blew up fifty miles of British railroad track." The priest answered: "My son, for penance you must do the stations". Traveled to visit my friend Mark Ballas and to see him perform on the show with Aly Raisman, the Olympic Gold Medalist from Needham. Aly is such a wonderful girl, who is a lot of fun. Mark couldn't have a better partner. She is very polite and sociable, but most impressive was how down to earth she was. It was also great to see Mark's Mom, Shirley Ballas again. I also got to hang out with Aly's dad, Rick Raisman. He is such an awesome guy, and a lot of fun to be around. What a great dad, and very supportive of his children. His son Brett is a pretty funny kid. We talked mostly about the Bruins, and of course the show. Got to sit with Rick on Tuesday night for the results show, when Michael Buble performed. FLOOR SEATS...VIP. Fantastic. Was nice to talk to Tom Bergeron and Brooke Burke-Charvet during commercials. Mark performed at the Sayers Club with a full band in Hollywood. Its amazing to see how great he has become as a musician, songwriter, singer and guitarist. He definitely is underated. Wait til his new album comes out, it is fantastic. Hung out with Derek Hough's Dad Bruce and Shirley Ballas during the show. I think we were the chaperones. Michael Buble asking me if I was still available for singing lessons. He heard I was an accomplished vocalist at St. Francis. I told him he would have to register as a parishoner first. I'm sorry Sir. We do not have a reservation for you. Can you please tell me again, what your name is. Had a great time last night with my friend Mark Ballas from Dancing with the Stars, and Olympic Gold Medalist Aly Raisman. Besides having several Gold Medals, nothing compares to her Golden personality. She is down to earth, friendly and funny. Aly's Dad Rick is a great guy who loves the Bruins, as well as her brother, who gave Mark a hard time and made me laugh. Also, Connor Schmitt one of the producers of Dancing with the Stars joined us. Mark was wearing his Boston Bruins game Jersey I gave him when he performed at St. Francis. Vote for Team Rais N Ball. Pope Benedict XVI Resigns on February 28 at 12:00 noon. I honestly have to say that this is a shock to the Church and the World. It has been 600 years since a Pope has resigned from the Chair of Peter. It takes great humility and love for the church to step down when he realized that he could no longer fulfill the office of Pope, due to his advanced age and health issues. I was so blessed to have attended his 1st Audience as Pope, on the Wednesday after his installation as Supreme Pontiff of the Roman Catholic Church. We had great seats (right up front) in St. Peter's Square. When the parish I was serving as deacon was announced at the audience, my friend Kevin and I jumped up and yelled.....YEAH.... Pope Benedict heard us and waved to the two of us. If was an unforgettable experience. Let us pray for Pope Benedict on his retirement and ask the Lord to bless him abundantly. Thank you for your service to the Church of Jesus Christ. Please join us for the Holy Hour for Life on Friday Evening January 25, 2013 at 7:00p.m. The Evening will include - Eucharistic Adoration and Benediction of the Most Blessed Sacrament, Prayers, Homily. Refreshments to follow in the Parish Hall. My First Joke of the New Year. An Irishman moves into a tiny hamlet in County Kerry, walks into the pub and promptly orders three beers. The bartender raises his eyebrows, but serves the man three beers, which he drinks quietly at a table, alone. An hour later, the man has finished the three beers and orders three more. The next evening the man again orders and drinks three beers at a time, several times. Soon the entire town is whispering about the Man Who Orders Three Beers. 'Tis odd, isn't it?" the man replies, "You see, I have two brothers, and one went to America, and the other to Australia. We promised each other that we would always order an extra two beers whenever we drank as a way of keeping up the family bond." The next day, the bartender says to the man, "Folks around here, me first of all, want to offer condolences to you for the death of your brother. You know-the two beers and all..."
The man ponders this for a moment, then replies, "You'll be happy to hear that my two brothers are alive and well... It's just that I, myself, have decided to give up drinking for Lent." Once again I was amazed on how beautiful the Church looked for Christmas. The music, ushers, sacristans and everyone else who made this Christmas so beautiful, thank you. Please join the Men of St. Francis Parish as we gather for a great breakfast, fellowship and a discussion of the book by Fr. Larry Richards - BE A MAN. We will be discussing chapters 3 & 4. Come and bring a friend. It is never to late to join us. I have to be honest, Fr. Brian's pasta sauce is outstanding. Karen DiBona and I helped him putting it all together....Too bad Karen left before the final touches were put on. ( The Secret ingredients). I had to sign a document for security clearance, not to reveal the recipe to anyone. All I can say is that there is some tomatoes in there amidst all the garlic. With Garlic being a natural blood thinner, those who showed up for the spaghetti dinner probably had all their blocked arteries removed. It should be called, Fr. Brian's famous Garlic sauce with SOME tomatoes. HOWEVER, I DO HAVE THE RECIPE.... Na Na Na Na Na. HOW CAN I BECOME A SPIRITUAL CHILD OF PADRE PIO? HAVE NO FEAR, PADRE PIO WANTED YOU. . .
Take the words of Fra Modestino, confrere of Padre Pio and fellow Pietrelcinese. In my article, The Evening Rosary at Our Lady of Grace, Modestino wished Padre Pio to adopt as his spiritual children not only those who could not visit him personally, but also those who would come much later in time, after Pio's death. "He asked, 'Padre, I would like to take on as your spiritual children all those who will undertake to recite the Rosary every day and from time to time have Mass celebrated for your intentions. Can I do this or not?' Spreading out his arms and raising his eyes to Heaven, Padre Pio exclaimed: 'Fra Modestino, how could I renounce such a great benefit? Do what you ask me and I will assist you.' Another time, when Modestino asked, 'Padre, what must I say to your spiritual children?' Padre Pio replied, 'Tell them that I give them all my soul, so long as they persevere in prayer and doing good.' "
How much Padre Pio wanted more and more spiritual children, to save their souls and to help him succeed with his mission. Leaving his last Mass in a wheelchair, he cried to the congregation as he passed, "My children, my children..." Who can say how far into the future he was speaking, as Jesus spoke to the future from the cross. The ever-approaching future. The now we live in. to live in his way." "A new generation of spiritual children has succeeded the first generation that had a direct and privileged relationship with Padre Pio. Today, for the most part, Padre Pio's spiritual children are those who choose him as model of life and guide toward Christian perfection....To be a spiritual child of Padre Pio is a serious thing and means we have an obligation to a life of asceticism, perfection and holiness, namely to become Christ-like, but it is also a guarantee of the Padre's protection and of his intercession before the throne of the Almighty. "In the person of Padre Pio, moreover, Jesus makes himself closer to us, more human, easier to imitate and to reach, because Padre Pio, according to the words of Pope Paul VI 'was a marked representative of our Lord.' "
Your heart will tell you if you are are on the right path to being a spiritual child of Padre Pio. The Capuchins, themselves, whenever an opportunity presents itself, reaffirm what is necessary. The page below is from Fr. Pellegrino's book, Jack of All Trades; Fr. Joseph reprinted these necessary conditions in his column, THE VOICE OF PADRE PIO. The Picture above is a picture of my friend Michelle Garofalo who lives in New Jersey. She lost everything during Hurricane Sandy. She had to be evacuated by boat. Thank God she made it out alive. If you can help in any way, I would appreciate it, and I know Michelle would as well. Please see me if you can help out. Cash contributions as well as toilettries are welcome. Thank You. Join the parishoners of St. Francis for the trip of a lifetime. In Honor of the 50th Anniversary of St. Francis Parish. It is with great joy that I announce that our former Pastor, Rev. Robert M. Blaney, and Mr. and Mrs. Kevin Rauseo have been nominated and approved to be invested into the Equestrian Order of the Holy Sepulchre of Jerusalem. More Info to come.